Who Needs Preachers When You’ve Got the Bible? If you’ve been around long enough, you’ve eventually encountered that guy. You know, the one who basically says all he needs is his Bible and the Holy Spirit. He’s got so much faith that he doesn’t need to listen to teachers or read commentaries. Really, nobody does if they trust the Spirit and the Word enough. Calvin isn’t saying we shouldn’t read our Bibles on our own, or that the Holy Spirit can’t enlighten our personal study. No, there is real benefit there. But if Jesus says that there ought to be teachers the church, and that we ought to sit under sound preaching, who are we to be more spiritual than he is? Apparently there’s something to it. I think I have met this guy you’re talking about. Always loved to abuse 1 John 2:27. If I recall my interactions with him correctly, though, quoting Calvin wouldn’t have helped. No need for anything but the Bible, remember? Yeah, you’re totally right of course. Perhaps Calvin is for our encouragement then and not for his correction. 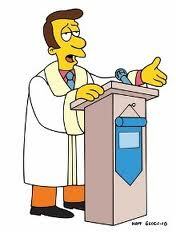 Still, if I had to listen to Rev Lovejoy preach week in, week out, I’d probably give up on sermons too.